Most people look forward to the Met Gala because it is meant to bring out some of the most daring and impressive designs we'll see all year on our favorite celebrities. The Gala, which raises funds to support the Metropolitan Museum of Arts Costume Institute is always a fun night. A list celebrities put on their most extravagant looks and head out to the red carpet while we all gaze and drool over their incredible fashions! For the past few years we've had a few standouts. Obviously Rihanna and Beyonce come to mind off top, not just because they are Rih & Bey, but they really truly WORK the Met Gala like no other. 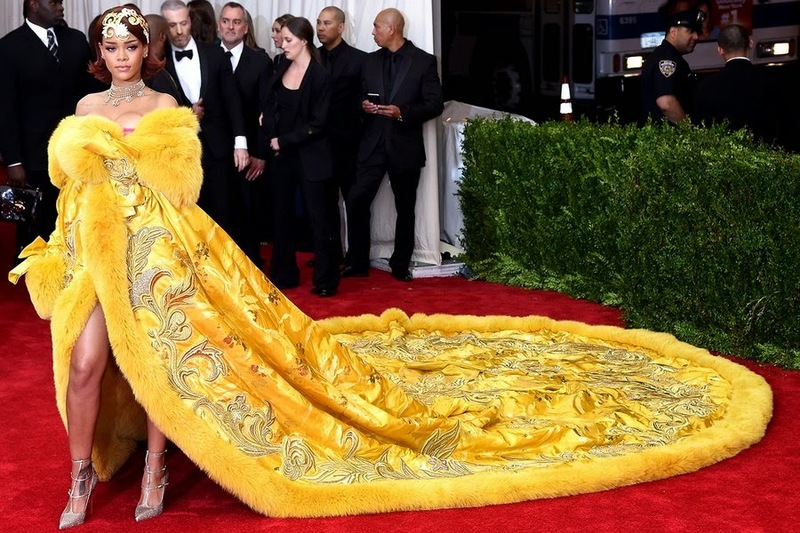 This year's theme was China: Through the Looking Glass and while some overlooked it, others like Rihanna took full advantage. As someone said on twitter Rihanna always achieves full outfit potential and last night was no different. OWNED. I’m so in love with this dress, but the train is insane! I can’t really walk in it without any help. But it’s so worth it. I love this dress so much! 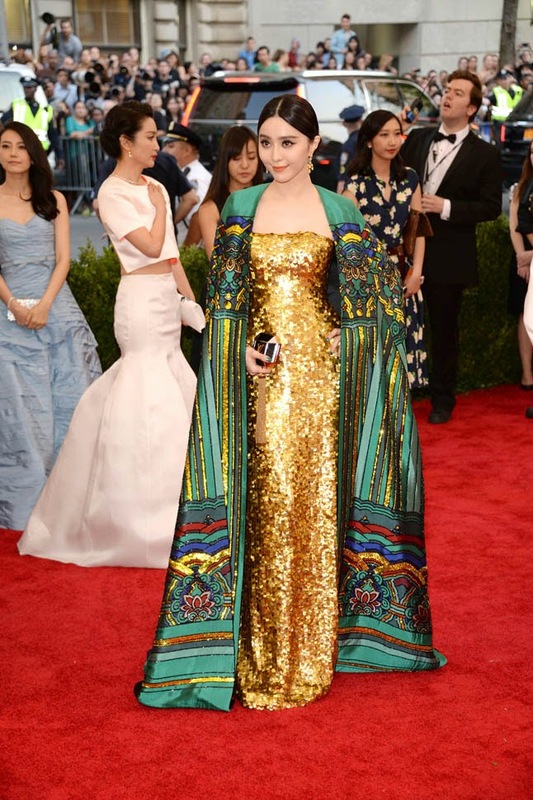 It’s Chinese couture and it’s made by Guo Pei. It’s handmade by one Chinese woman and it took her two years to make. I found it online. I was researching Chinese couture on the Internet and I found it. So not only is the dress the show stopper, but the songstress actually found it herself sans the help of her impeccable styling team? Get it Rih. Also holding us all down on the costumes last night as mentioned was Beyonce and her boo Jay Z. Bey made us wait a bit before hitting the red carpet in a sheer Givenchy gown embezzled with floral patterns. It was flawless. Her skin looked amazing and so did her body in that dress. Her husband Jay Z was spotted stepping back to admire her with the rest of us a few times. Hov.. we get it! Finally.. this. Man. BING! Gwirllll! Chinese actress Fan BingBing was complete elegance. She showed up in Christopher Bu.. a gorgeous gold gown with a green cape that honestly was to die for. Fan never disappoints when she steps out in fashion, and last night on a big stage she held her own. She just looked amazing and I couldnt stop staring at her dress. Im not sure why it was sooo perfect but it was! Of course there were a few others, but these three took the cake! What a way to come through for the Met Gala. A true feast for my eyes!